While optimization for organic traffic is critical when developing your website we often find the need to broaden our reach through paid search engine traffic. Did you know that 93% of online experiences begin with a search engine. Displaying your ad at the top of search engine results is critical, and we can help with a full-service solution to manage your ad campaigns using Google AdWords and Bing Ads. We develop and manage highly targeted ads to attract just the right audience to visit your website. Monthly conversion and traffic reports will be provided to demonstrate the return on your investment. 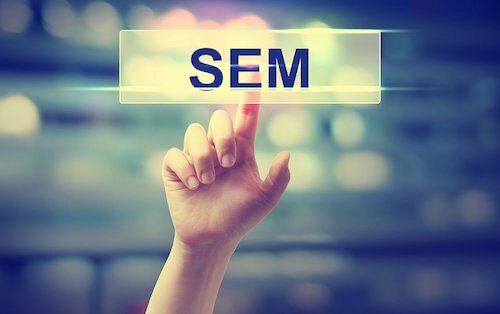 We develop SEM campaigns for any size budget. Your advertising dollars are only spent when users click on your ads from a search engine result. Outside of our reasonable setup and management fees, your investment can be adjusted monthly to accomodate your budget or to manage seasonal trends. We believe this flexibility is important for small businesses where advertising budgets may vary month to month. Our team is always there to respond to these changes.